As some of you might know, I run a group that meet and learn new stuff about foss every month – foss-gbg. 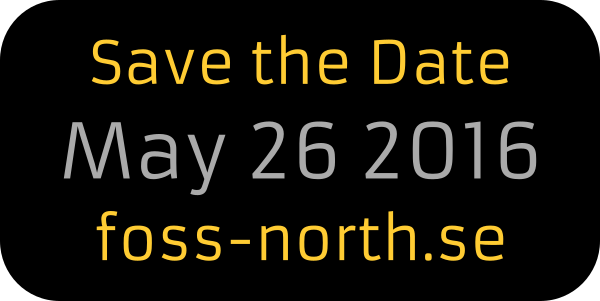 Today it’s official that this summer foss-gbg goes foss-north and it is going to be awesome. So I welcome you all to the wonderful city of Gothenburg to a day filled with talks on a wide variety of topics around free and open source technology. It is going to be awesome! This entry was posted in foss-gbg. Bookmark the permalink. Both comments and trackbacks are currently closed.